Home News Tamil Movie News CBFC’s new rule to filmmakers, will they pre-plan now? 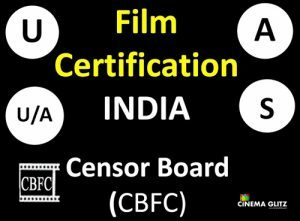 Central Board of Film Certification has found that filmmakers complete their censor formalities and adding subtitles without getting consent from the officials which is a violation of the law. Now CBFC has issued a notice to all the filmmakers that subtitles should be added only with proper certification from the officials of the board. “It has been recently observed that a number of films are screened before CBFC and subsequently certified without any subtitles. However, after certification, some of the films are found to be exhibited with sub-titles without even seeking the endorsement of CBFC under Rule 33. As per Rule 22(3) of the Cinematograph (Certification) Rules, 1983, only the final version of the film is to be shown to the Examining committee for certification purposes. It is therefore directed that all the applicants must submit an undertaking along with the application clearly stating either that — a) Subtitles are included, or b) Subsequently no subtitles will be added once the film is certified by CBFC”, said Anurag Srivastava, Chief Executive Officer.